This is one of the most exciting issues we’ve done here at WDW Magazine. What could be more exciting than Fireworks at WDW? Oh, boy. Our Photography Team has been salivating over this one for months. So let’s dive in and see what’s inside. 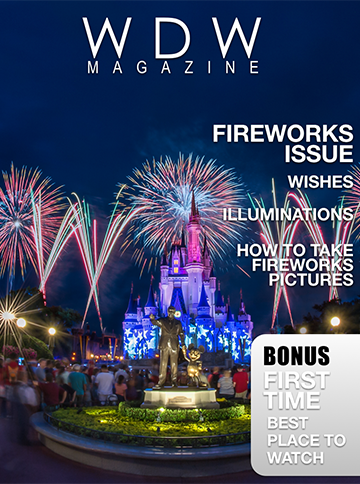 Our Features section takes a look at the fireworks at the parks. 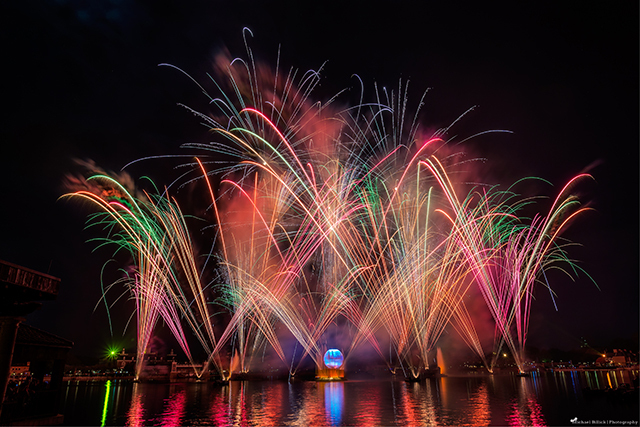 Disney puts on the best fireworks shows anywhere and we take a look at all the shows. Each month in Helping Hands we give out some helpful hints. This month we have some doozies. From where to watch the fireworks to how to take fireworks photos, oh and watching the beauty of Cinderella Castle at night, Helping Hands is helpful. Oh, boy we’ve got some really fun and yummy stuff for you this month in Bring the Magic Home. Lisa talks about how to create the perfect Disney bucket list. Our recipe of the month is Dole Whip Popsicle. Oh, and maybe the best part of the whole issue, our Photography Team starts a new series this month on taking pictures at WDW. The first one talks about how to take pictures of fireworks. Oh my goodness. This month the Staff picked chose the Best of WDW locations and I think we did a really good job. Check these out – Dumbo, Old Key West, Pineapple Lanai and Glow-Item Carts. The FanZone is packed this month. Meet Judd Helms from the Photography Team and Shannon Bonadurer, writer, travel agent partner and valued advisor to WDW Magazine. Check out your answers to our question of the month, see who wins our Photo Contest and see the latest Vinylmations. It may not be saving the best for last, but it’s close. Around the World is where we have some fun and this month there is fun on every page. There’s some much here you’ve just got to see it all. Wow. This is good. You better get started. Disney’s Hollywood Studios: Beyond Fantasmic! Question of the Month – What is your favorite activity outside of the parks?